Certified. Red 2016 Toyota Corolla S Plus FWD 4-Speed Automatic I4 ABS brakes, Electronic Stability Control, Illuminated entry, Low tire pressure warning, Traction control.Toyota Combined Details:* Transferable Warranty* Roadside Assistance* Vehicle History* Warranty Deductible: $50* Powertrain Limited Warranty: 84 Month/100,000 Mile (whichever comes first) from original in-service date* 160 Point Inspection (for Toyota Certified Used Vehicles program), 174 Point Inspection (for Toyota Certified Used Hybrids program)* Limited Comprehensive Warranty: 12 Month/12,000 Mile (whichever comes first) from certified purchase date. Roadside Assistance for 1 Year (for Toyota Certified Used Vehicles program), Limited Comprehensive Warranty: 12 Month/12,000 Mile (whichever comes first) from certified purchase date. Battery 8 years/100,000 miles (whichever comes first) from original in-service date. 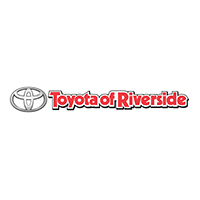 Roadside Assistance for 1 Year (for Toyota Certified Used Hybrids program)Awards:* 2016 KBB.com Best Buy Awards Finalist * 2016 KBB.com 5-Year Cost to Own Award.